Freebie SupermarketThe best and newest freebies, free samples and competitions. Your offer has been saved here. Discover beauty products inspired by nature, and let your skin feel better than ever by helping you regenerate and moisturize areas that need it the most. Click claim freebie and then fill out the form provided to receive a free Maple Holistics product sample. Once you've received your free sample, watch your e-mail to find out how to receive a free full-sized product in addition to your sample! How do I claim this offer? Click "Claim Freebie" below and we'll take you straight to the offer. When does this offer end? We couldn't find an expiry date for this promotion so if you do find it has finished, please come back and let us know in the comments so that we can take it down to avoid further disappointment. If it does work, please do the same but let us know it worked! It may be just a bag, but it’s a bag with your very own personal touch! 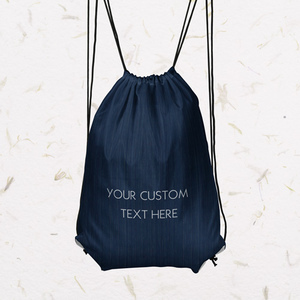 Share your message with the world and get a free drawstring bag! Learn more about digital photography with this free Harvard course on Alison.com. Play Alto's Adventure for free on your PC with this download from the Microsoft Store. Google Play has lots of free music to download and we've made it easier than ever to find! Choose between 10 different Kelloggs avatars to be used on your Xbox One console. Each week Freebie Supermarket will deliver the newest and best free samples and freebies direct to you. Simply enter your email address below to claim this offer and sign up for future free stuff. There was an issue, please try again. Each week Freebie Supermarket will deliver the newest and best free samples and freebies direct to you. Help the Freebie Supermarket community by posting a freebie that you've spotted on the internet. By entering your email address we'll register you to the Freebie Supermarket newsletter so	we can send you our newest and juiciest freebies. Save money on your grocery shopping with these freebies direct from supermarkets such as Tesco, Asda, Sainsbury's and lots more. Discover more freebies and free samples with our category directory. © 2016-2019 Freebie Supermarket. All rights reserved.